Millstar's innovative Quad Force Machining Tooling System offers 4-in-1 performance versatility. The solid carbide tooling system provides 4 cutting actions in 1 for satisfying application requirements in nearly any industry. Millstar's EIV5 Series is revitalizing conventional practices for the modern machine shop. 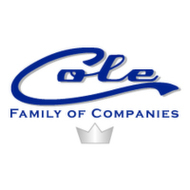 Coles provides support and supervision throughout the production process-from raw material selection to design and application trials to achieve optimum performance before beginning final production. Millstar die and mold profile tools are designed for conventional profile machining and high speed and hard milling with modern machine tools and methods. Cole OGW carbide threading inserts and threading systems meet requirements for a variety of applications, such as pipe threading and couplings, and provide exceptional product usability. Omnithread offers a large in-stock inventory as well as special thread forms on a made-to-order basis. Indexa-V benefits include self locking/self-centering drills designed with unique V pocket to assure axial thrust direction through the center of the tool holder. USA – Millstar has introduced an aluminium milling cutter line for precise cutting tool solutions.